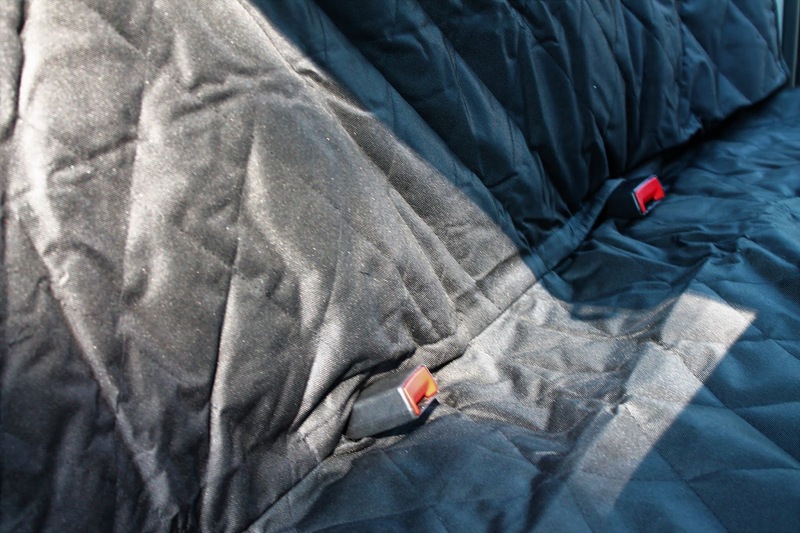 Velcro opening designs for safety seat belts to fit so seatbelts can still be used. 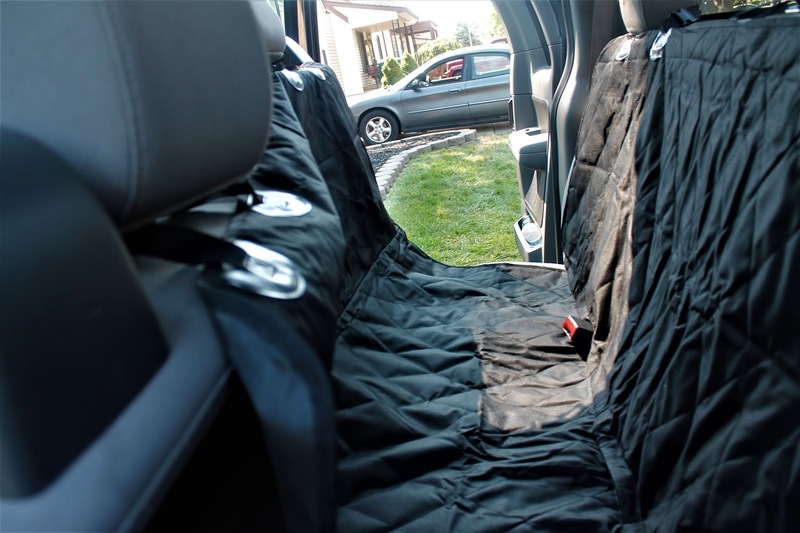 To stop pets from climbing into the front seat, the seat cover can be used on the back head rest as a hammock as well. 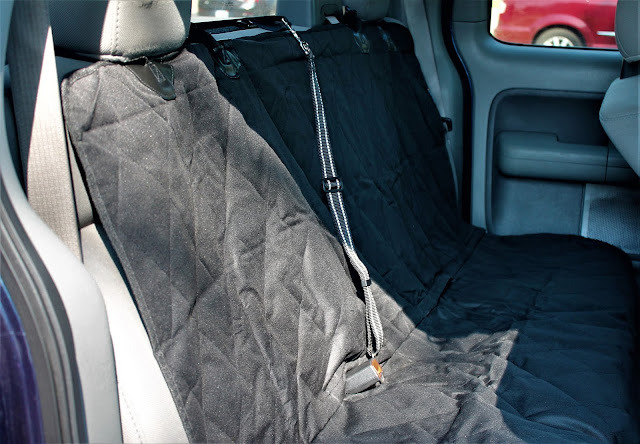 I chose to leave it in the car because not only is it convenient to a dog owner and a mother of 2 but it's stylish as well and looks great in the backseat. This seat cover is easy to install and clean, universal fit for most car seats. I didnt have any issues setting this up in the car. Extra large size pet seat cover is 58" L x 54" W. Ideal for sedan cars, trucks, SUVs and minivans.